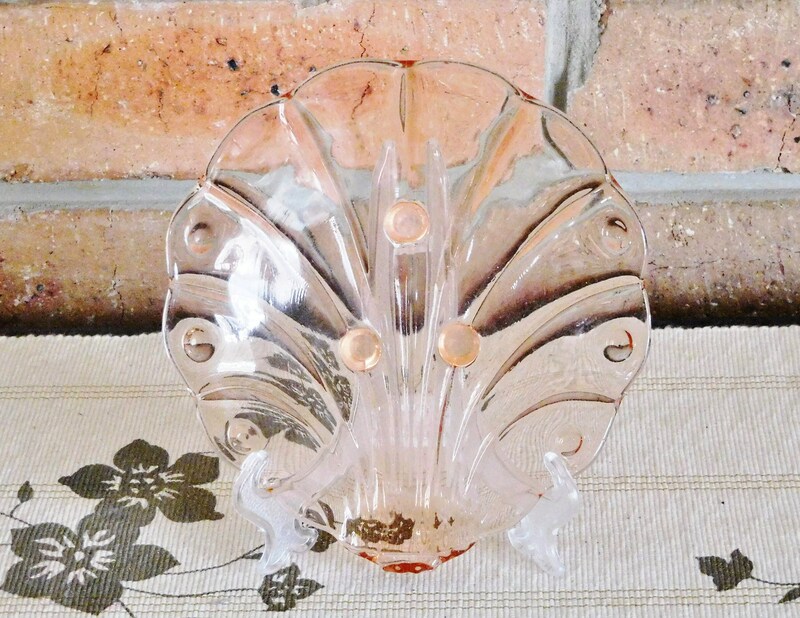 Art Deco footed clam shell peach glass dish, 1930s, fabulous idea if you are attending a bride's kitchen tea, high tea or other occasion that requires a small gift... team it with some home baked goodies (or bakery bought, we won’t tell anyone!! 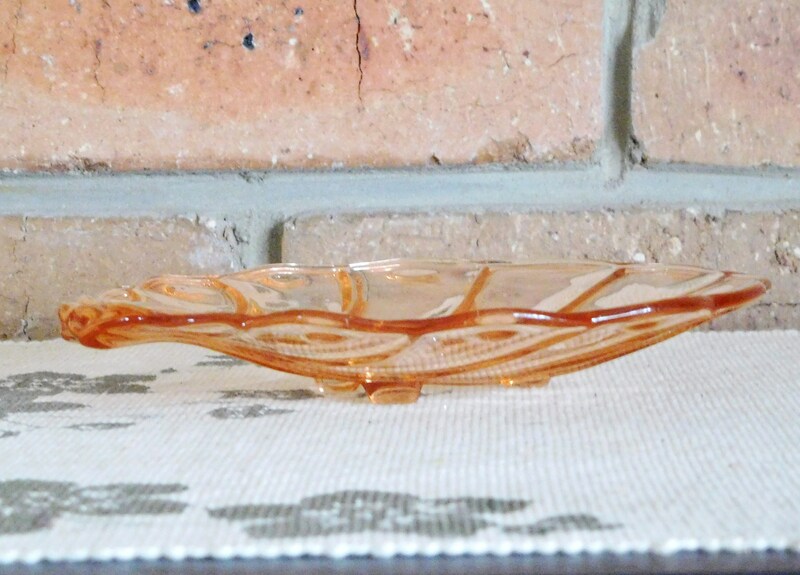 ) for a wonderful, thoughtful present. This lovely piece is in wonderful, intact condition, though the bottoms of the little feet do show touches of wear.